As part of FoodBuzz Daily Specials, I’ll be making a some special posts over the next couple of weeks that relate to a specific topic. Today’s special is about Salt and Pepper Mills. 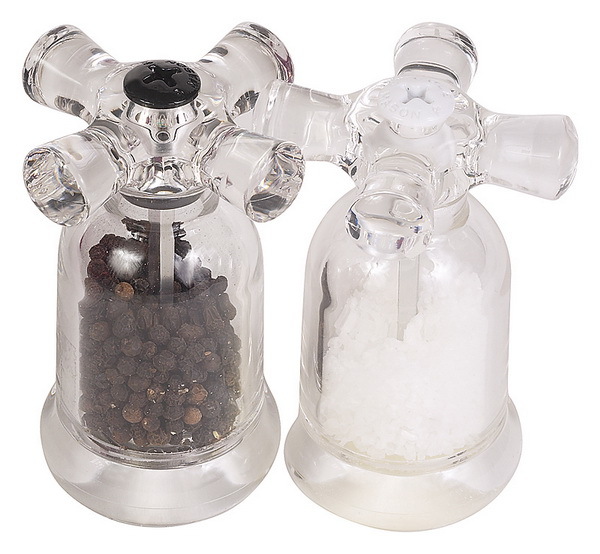 Salt and Pepper mills come in all shapes and sizes….they are made out of all sorts of materials, some are manual while some are electric, and prices really vary. For years I used only ground black pepper and Morton’s salt out of the box – I never ventured beyond that. But a few years ago I got interested in using sea salt and I got a mill just for that. Then I decided to use different peppercorns and got some mills for those. And my collection has grown quite a bit. For some recipes, there is nothing like the taste of sea salt. For some, nothing as great as Kosher salt – there truly is a difference. And the same goes for peppers – different peppercorns definitely yield different flavors and it’s great to have a few on hand. I even have a mill to freshly grind red pepper flakes. As part of FoodBuzz Daily Specials, I’ll be making a some special posts over the next couple of weeks that relate to a specific topic. Today’s special is about Mandolines. Mandolines are GREAT tools that make slicing a cinch. You can make paper thin cucumbers for salad, julienne carrots for stir fry, thick sliced potatoes for roasted potatoes, and the list goes on and on. You basically attach your food to the safety grip and then run it up and down the mandoline which drags it across the blade and creates the cut. 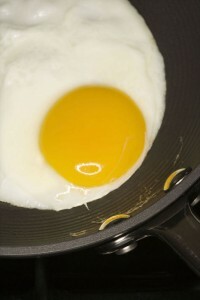 You change the blade by dialing a knob which rotates and sets the blade in position for cutting. My main pieces of advice for using a mandoline – do NOT try using it without the safety grip. It’s more comfortable to just grab the potato or whatever in your hand, but the blades is sooooo sharp and it takes but a second to loose a good part of your finger 🙁 (poor Josh !!!) I go an extra step and wear a cooking glove that has kevlar in it – then you can just fly through the prep without a worry. 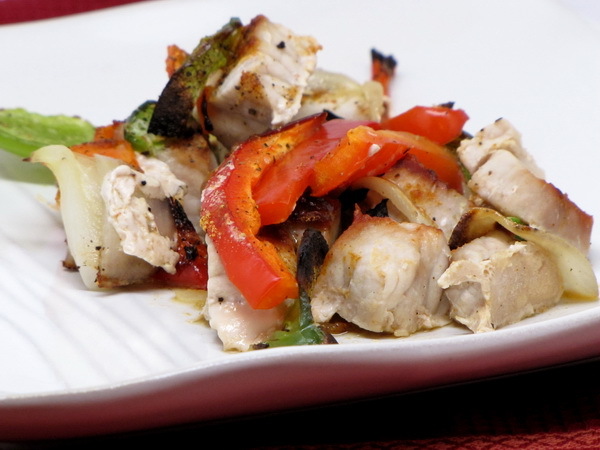 Try a mandoline and you’ll see why chefs around the world use them on a daily basis. When it comes to vanilla flavor in your cooking and baking, the type you use can make all the difference in the world. When choosing your flavoring you have several options – – Imitation vanilla flavoring, pure vanilla extract (bargain basement), pure vanilla extract (good quality), and vanilla bean paste such as Madagascar Vanilla by Nielsen-Massey. I pretty much try and stick to good quality pure vanilla extract and vanilla bean paste – if you use the others, you really end up with a inferior product at the end. It costs more, but the results are really worth it ! 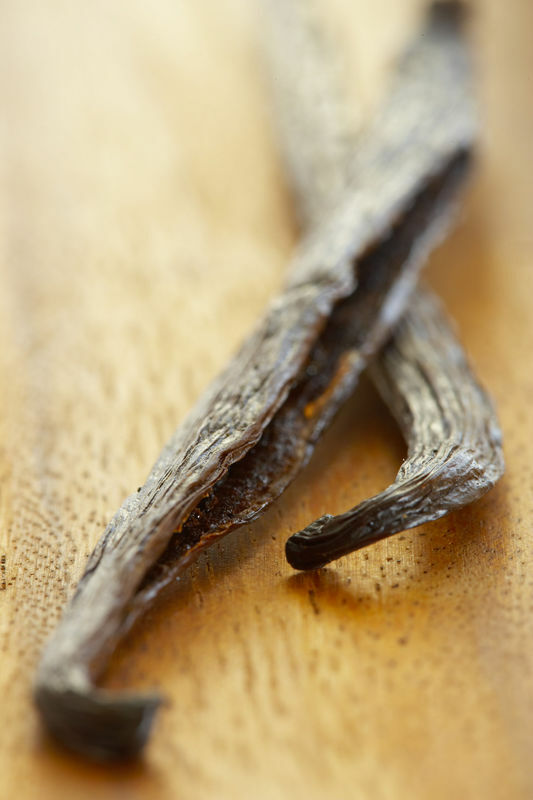 To find out more about vanilla, check out today’s Food Buzz Daily Special !